So what do you do with all those egg whites after making Leche Flan? It would be such a waste to throw it all away. If you're thinking meringue, yup that's the way to go. But why not bring the level up a notch and make Pavlova instead? Pavlova is a New Zealand concoction (although it is also heavily contested by Australia) that was made in the 1920s to commemmorate the Russian ballet dancer Anna Pavlova's visit to the country, and the light and fluffy desert was named after her. It's a meringue-based desert that's crumbly on the outside and soft on the inside (hmmm... reminds me of a certain chocolate brand). This meringue base can then be topped with cream and fruit. 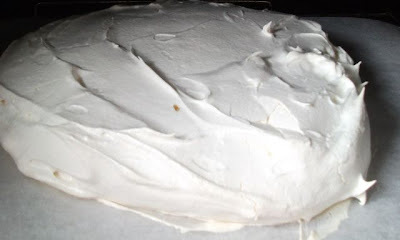 Pavlova is usually served on special occasions, such as Christmas. Again, many thanks to Myra for welcoming my wife Tina in her kitchen for the cooking session. Beat the egg whites until it forms peaks and holds on its own. An electric beater will help heaps in achieving this. 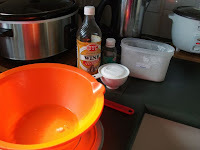 Gradually add the sugar, about a tablespoon per batch, and at each time mix well. When all the sugar has been incorporated, beat for 10 minutes more. Add the vinegar, cornflour, and vanilla and beat until well blended. Preheat oven to 150C. Place baking paper on a baking tray. 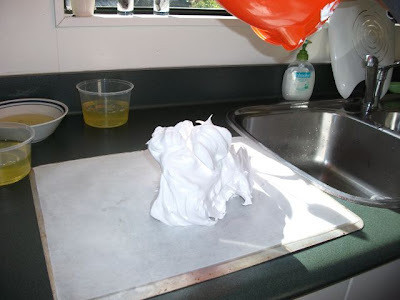 A bit of water between the baking paper and the tin will help keep the paper in place. 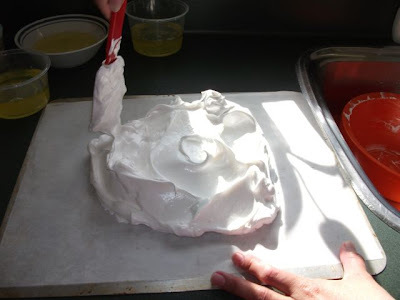 Put the mixture onto the baking paper and mould into a cylindrical shape. 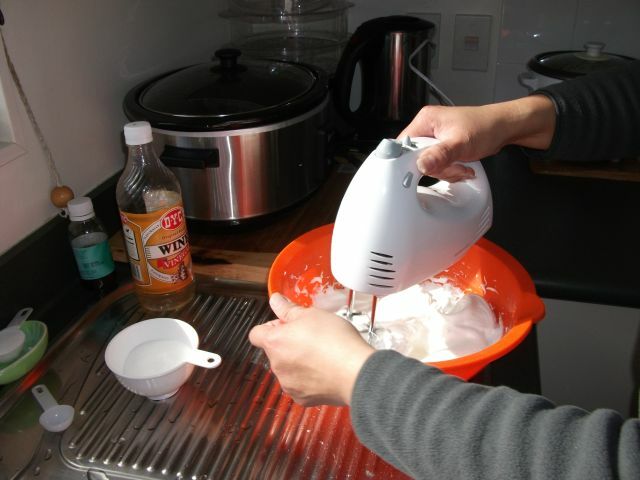 Place pavlova in oven and abruptly reduce heat to 125C and leave for one hour. 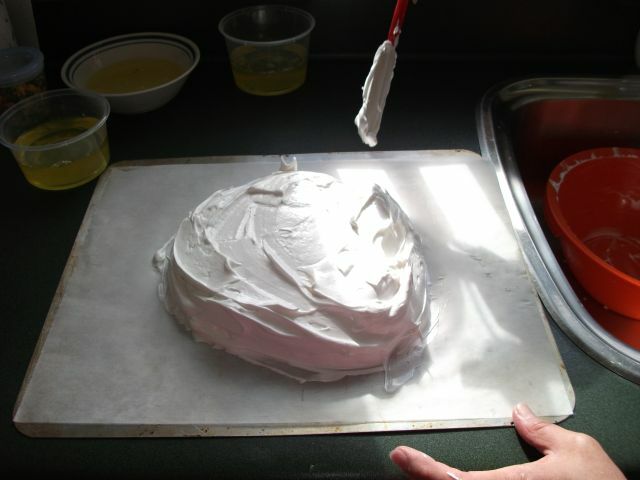 Then turn off oven and leave the pavlova in it until it cools off. Overnight is ideal. To serve, top with whipped cream and fruit (such as berries or kiwifruit).